Teaching Blog Round Up: Patriotic Fun! Happy 4th of July! Happy 4th of July! I'm thrilled to get to post on this very special day! I am celebrating on the island of Kauai this year! I thought this was a great time to compile a few patriotic ideas that you can use throughout the year as you teach about national symbols. 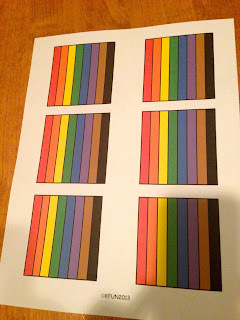 And, of course there is a colorful FREEBIE or two waiting for you! First, I love to use this American Flag Opinion Writing Template. because it is big and it has a lot of windows." 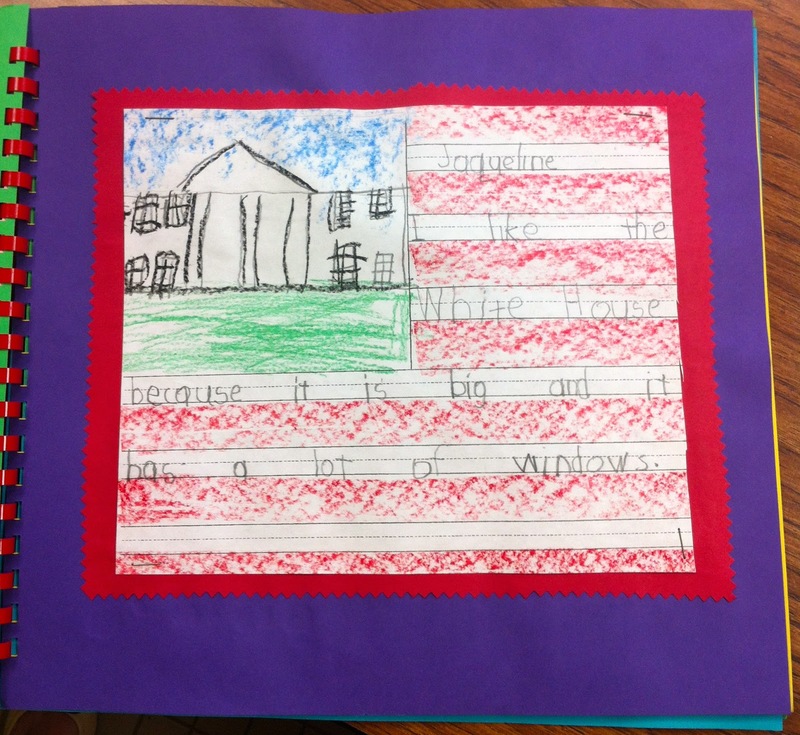 Students illustrate their favorite American Symbol in the rectangle. They add blue background to their picture with the side of a broken blue crayon. 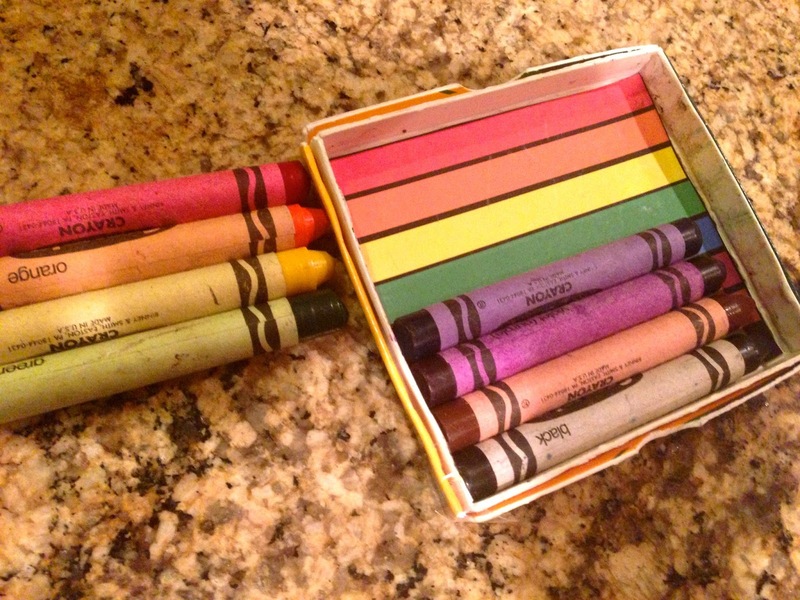 Last, they color in the blank lines with the side of a broken red crayon. 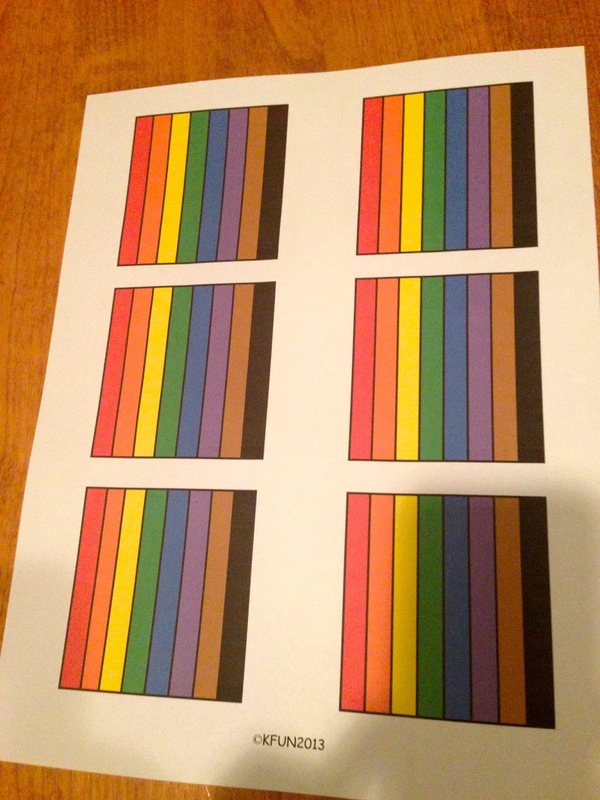 These look amazing on a bulletin board; like little American flags! 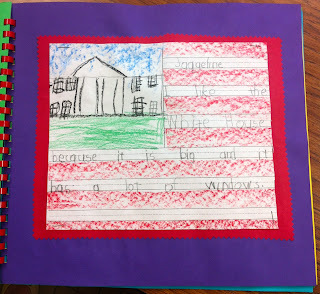 You can find our American Symbol Opinion Writing Template here on my post about our memory books. Just scroll down to see the flag template and click on it. Or you can also find it in this post. 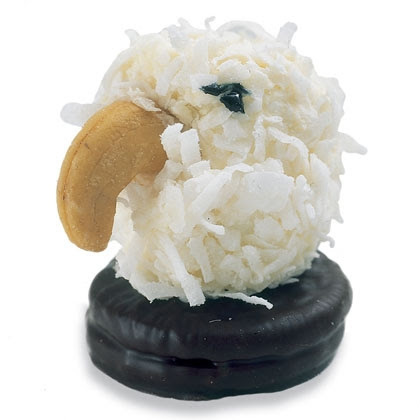 That beak is made from a cashew, so watch out for allergies. I also thought you might like our 4 Star Writing Journalwhich has a built-in rubric. 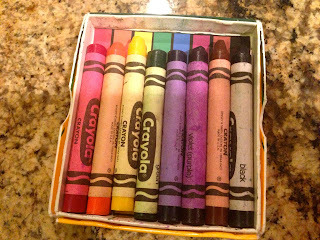 My Special FREEBIE for you this month is my super popular way to keep your students’ crayons organized. You glue this template into a crayon box (small 8-count or jumbo 8-count, there are 2 templates) and students keep their crayons organized by matching the colors on the template with the colors of their crayons. They can instantly see which color is missing! Template comes in 2 sizes: Jumbo or regular. 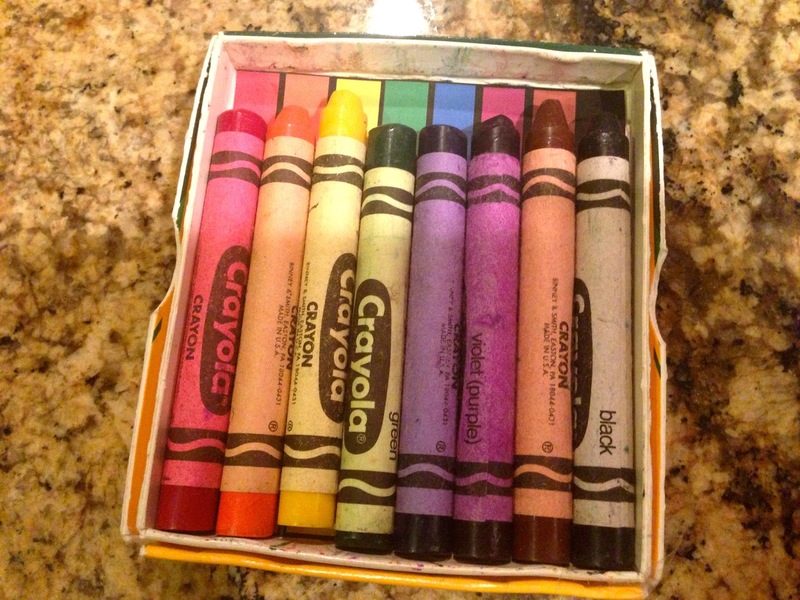 You can find my Free crayon box template here and download it for your new class. Fits in the box with the removable lid or the flap. 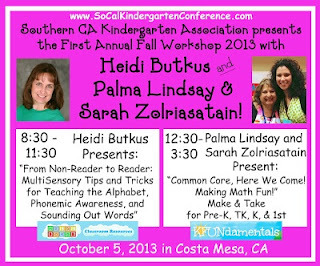 One last thing, I’ll be sharing my Common Core Math ideas & teaching tips with my colleague, Sarah, at a one day conference in Orange County, CA on Saturday, Oct. 5. Heidi Butkus, from Heidi’s Songs, will present the morning session on English Language Arts and Sarah & I will present a “Make & Take” workshop on Common Core domains. We plan to share lots of hands-on ideas that keep the FUN in the FUNdamentals! You can find more info here and registerhere. We hope to see lots of you there on Oct. 5 which is also the World Teacher Day! Happy 4th of July!!! See you back here on August 4. That is also my 40th wedding anniversary!! !